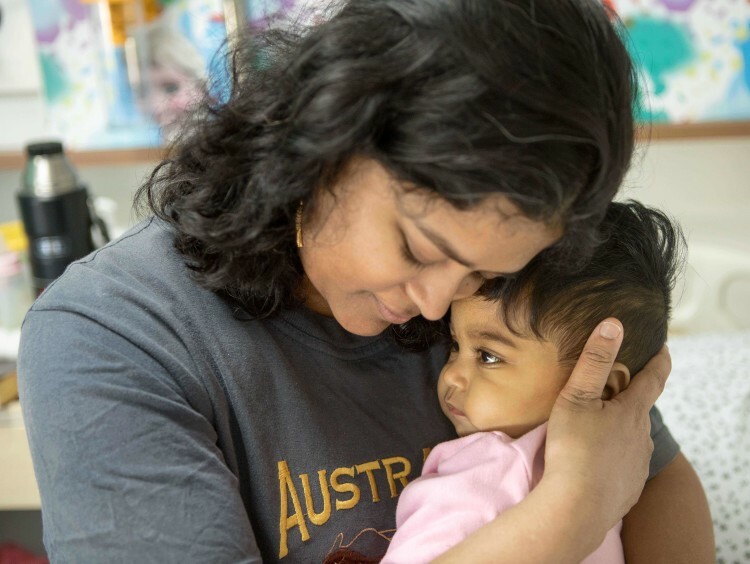 Baby Jiana Mathew has not had a peaceful night’s sleep since birth. When she was only 7-days old, she had jaundice. Her body was yellow all over and she was irritable. 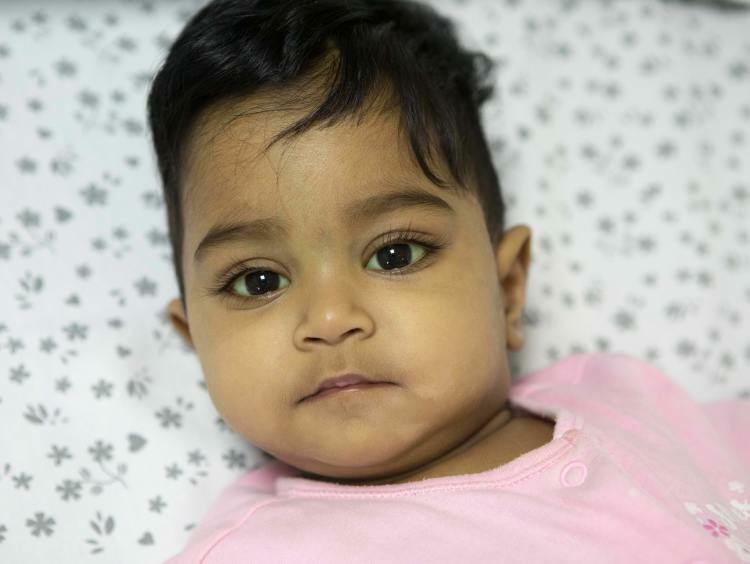 The poor baby was then diagnosed with severe liver disease when she was 1-month old. From then on, life has been a painful journey for Jiana and her parents. Little Jiana’s liver does not function properly like it does in healthy infants her age. The small ducts in her liver that drain bile are blocked. Due to this, fluid gets collected in her abdomen that results in infection. The baby is in constant pain because of this. Her spleen is enlarged and her stomach is swollen. 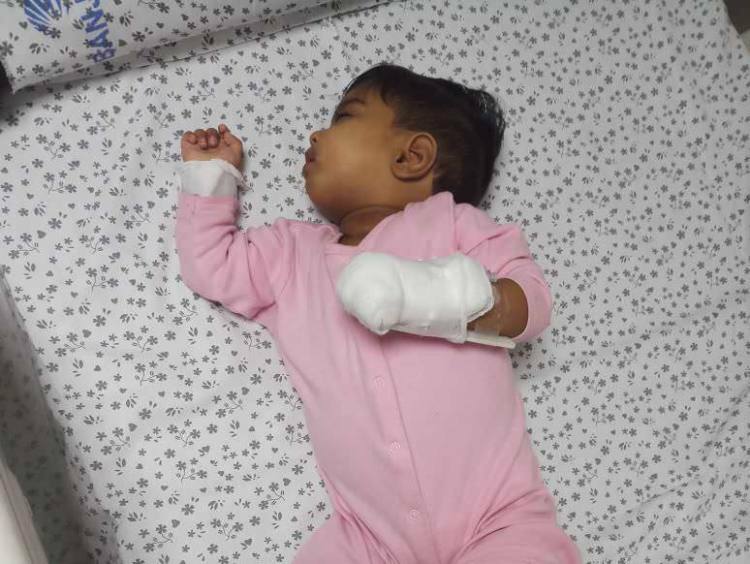 Her small palm is bandaged because she constantly tugs at the IV lines that are used to give life-saving antibiotics in her body. “Our baby had to have a surgery at only six weeks. We were so scared because she was so small. I didn’t know if her tiny body could take it. The surgery was unsuccessful. Infections continued happening regularly because of her failing liver. We did not think she would survive. 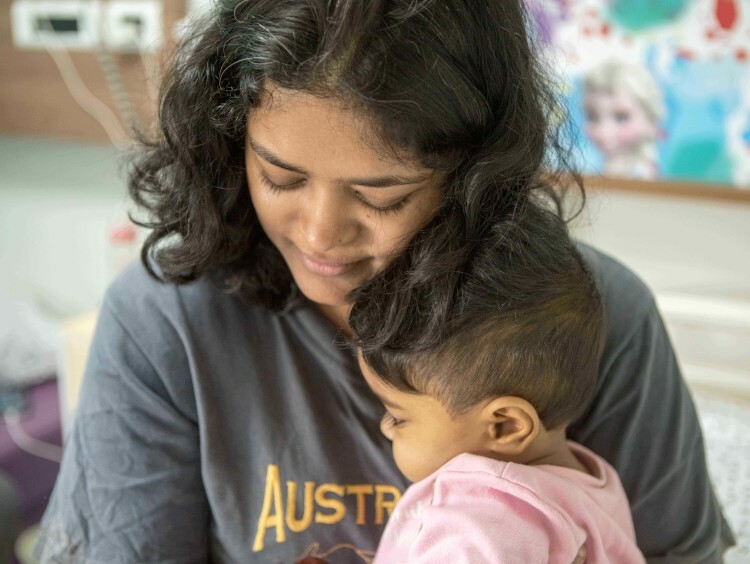 But when she looked at us with her twinkling yellow eyes, we saw hope,” –Anila, Jiana’s mother. Jiana is severely underweight and has only gained about 3 kgs in the last eight months. She has a severe vitamin deficiency due to her liver disease and because she is lactose intolerant. She also passes white pasty stools. “Jiana cries and grunts because of the pain in her abdomen. Medicines are only able to provide temporary relief; they are also making her more irritable. She has had such high doses of antibiotics since birth that her body has become dependent on it for survival. It crushes me every time I see her in so much pain,” says Anila. Jiana was trying to try standing like other 1-year-olds when she fell back. Her mother caught her immediately but she wouldn’t stop crying. It was not a regular fall. “She kept wailing and nothing would comfort her. That is when we realized that she had hurt her thigh bone. Now she has a cast. Already our angel was in so much distress and struggling to survive. 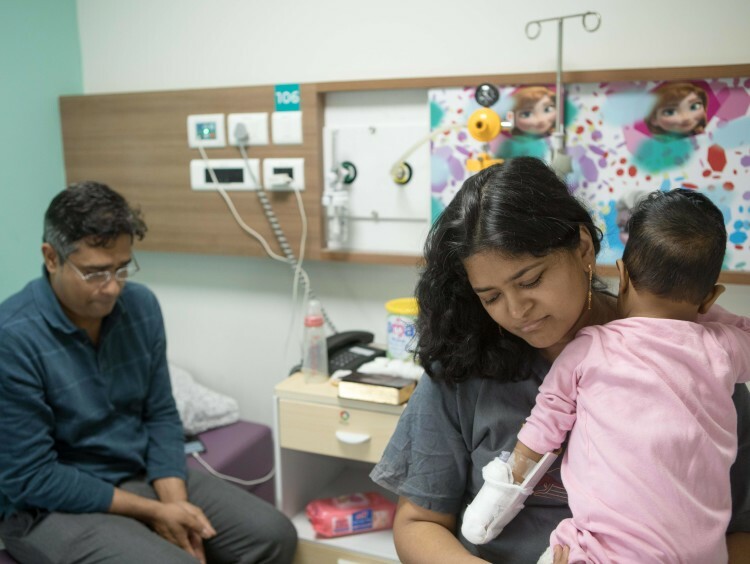 Now, she has to bear double the pain,” laments Anila, Jiana’s mother. 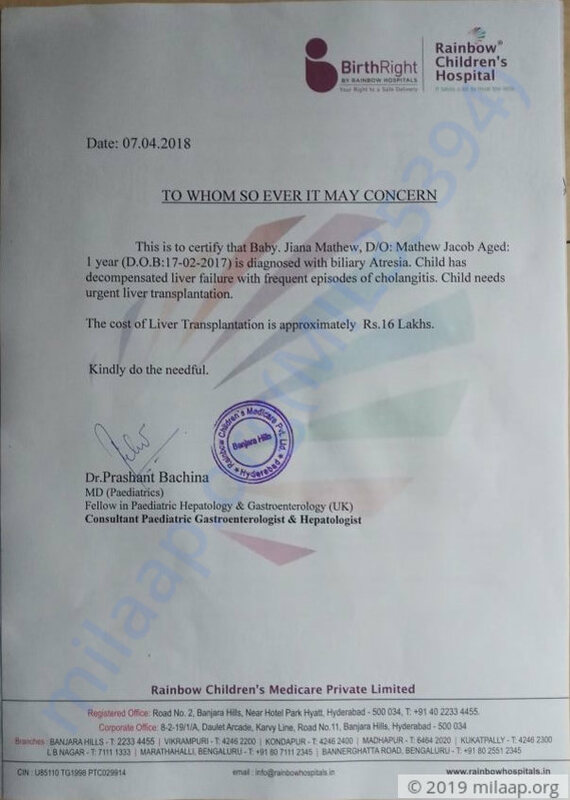 Baby Jiana’s liver is almost non-functional now. She is on high doses of antibiotics to fight off infections that occur in her bile ducts. She cannot survive for long with a bad liver. She needs immediate surgery or she will succumb to her infections. 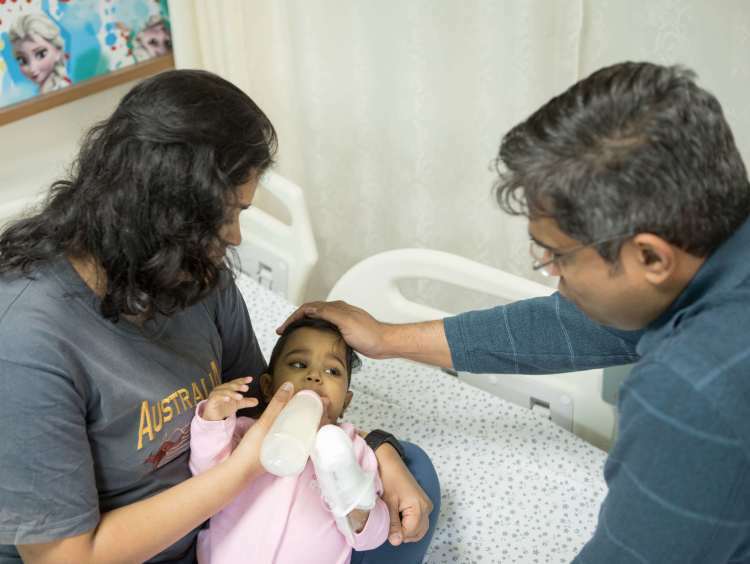 Jiana’s father is an engineer while her mother, Anila, is taking care of Jiana at home. The family is financial difficulties because they put away all their savings to go to the UK. They went there hoping to get their daughter a better life and save her life - but the treatment therewas not helping. “Jiana’s condition worsened after we went there. I knew it would cost us a lot but we left immediately for India. Her father will give his liver to her, but we do not have the money required for Jiana’s surgery now. I know that she is critical. 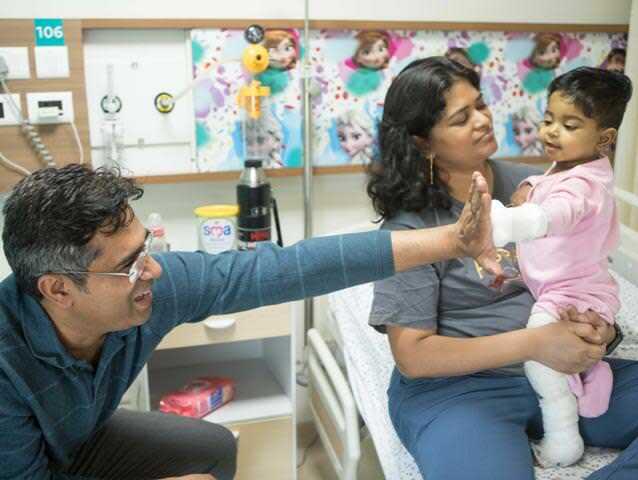 My baby daughter will leave us forever if she does not get a transplant soon,” - Anila. Here is an update on Jiana. She is doing well now. 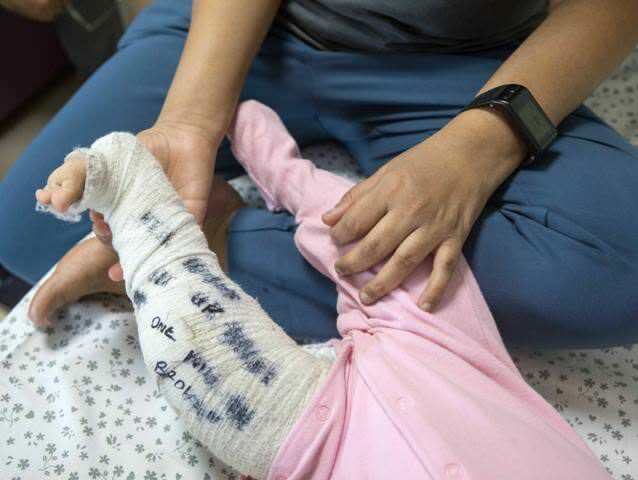 She has started walking, but the day she started walking she had a fracture. 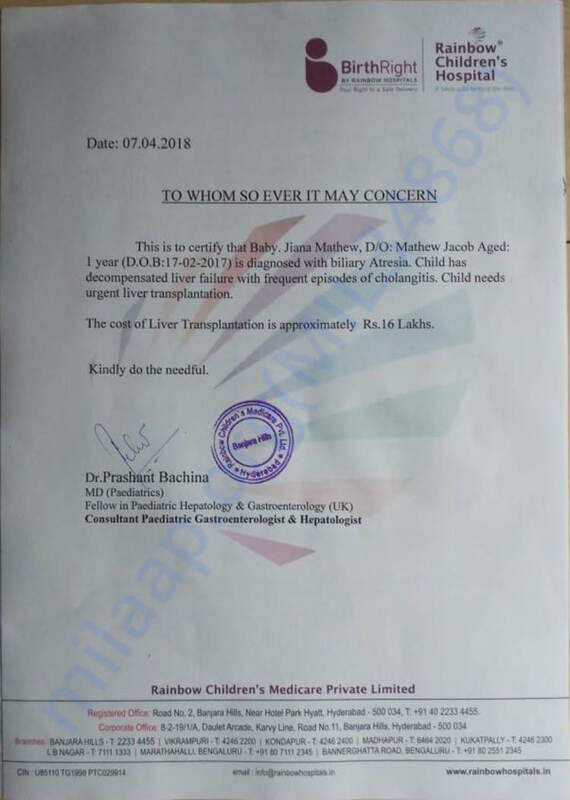 Apart from that her liver enzymes are also increasing on a frequent basis for which she is given medicines as prescribed by the doctors. She is recovering, however, the process is long and there has to be regular follow-ups so that doctors can track the improvement in her health. Please pray for her health and speedy recovery. Thank you for the love and support. Jiana is now doing well. She had a slight relapse due to which she was constantly in and out of the hospital for a period of time. She is now on medication and the doctors are observing her closely for any irregularities. There are minor side effects like diarrhea and vomiting and she is recovering from the same. We are all hopeful about her well-being. Please keep praying. Thank you! Here is a quick update on Baby Jiana's health. The baby has been discharged from the hospital and is doing well. They are in regular follow-up with the hospital and are coming for the routine post-transplant clinic tomorrow. Thank you so much for the love and support. Please pray for baby's speedy recovery.